Note: You must be at Robot SAVE 8 or higher to use this command. 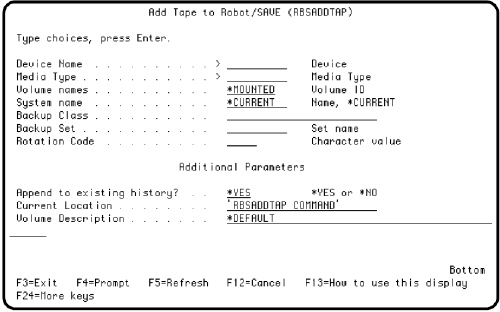 Install Robot Save on your IBM Power Systems (System i, iSeries, AS/400) running IBM i (OS/400, i5/OS). Follow the online installation instructions. Load the historical volume on the drive.